On the Doka Campus, alongside products and services from Doka, visitors will find the product portfolio of Doka subsidiary Form-on, which specialises in the supply and trade of formwork, as well as, for the first time Umdasch Group Ventures, the innovation hub of the Umdasch Group, which focuses on future trends and new technology on construction sites. 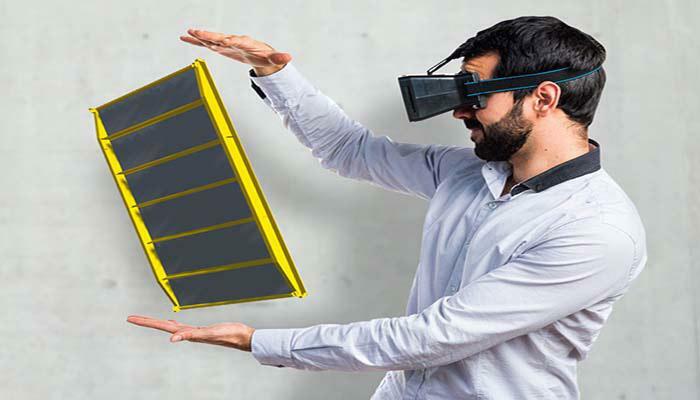 With the Doka AR-VR app, the Campus will transform into a digital showroom and will offer expo visitors a wide range of digital content and new applications to discover. “Every three years we have the chance to show our products and services at bauma. One important topic this year is how to increase productivity on site in relation to formwork and cast-in place concrete. With upbeat construction – digital services for higher productivity we’ll show our contribution to increase productivity. 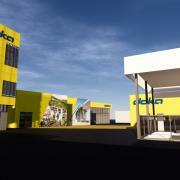 On behalf of Doka, we are pleased to welcome our visitors and customers to the Doka Campus. We invite you to experience your personal Doka moments at our campus”, says Harald Ziebula, CEO Doka. 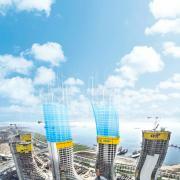 Doka’s expertise in engineering solutions will be on display in the two-level, 16-meter high Engineering Tower. Here, customers will be able to experience a variety of scenarios first-hand using virtual reality (VR) and watch presentations with a focus around individual construction sectors, including Highrise, Infrastructure and Energy. In the Highrise area, Doka will be celebrating a world première at bauma with DokaXact, an innovative new product, which is also a 2019 finalist for the bauma Innovation Award in the Components/Digital Systems category. DokaXact is a sensor-based system that supports surveyors and site crews to quickly and precisely position and align wall formwork for automatic climbing systems. The process utilises a measuring system that is attached to defined points on the formwork and communicates wirelessly with a central processing unit. The sensor system is accurate down to ± 2mm, therefore allowing the structure to be built more easily within the predefined structure tolerances. Supported by the DokaXact app that provides step-by-step instructions to the site crew, formwork can be positioned and aligned with pin-point precision for the next casting section. Data relating to the position and positioning progress can be reviewed and used again transparently and independent of location by accessing a cloud. 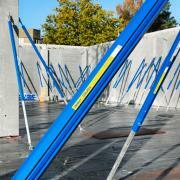 The live monitoring function allows access to the current formwork position at any time. It also visualises how all measuring points in the same formwork section change when individual measuring points are positioned and aligned. The ease of operating the system gives site crews more autonomy when positioning and aligning formwork of highrise cores. 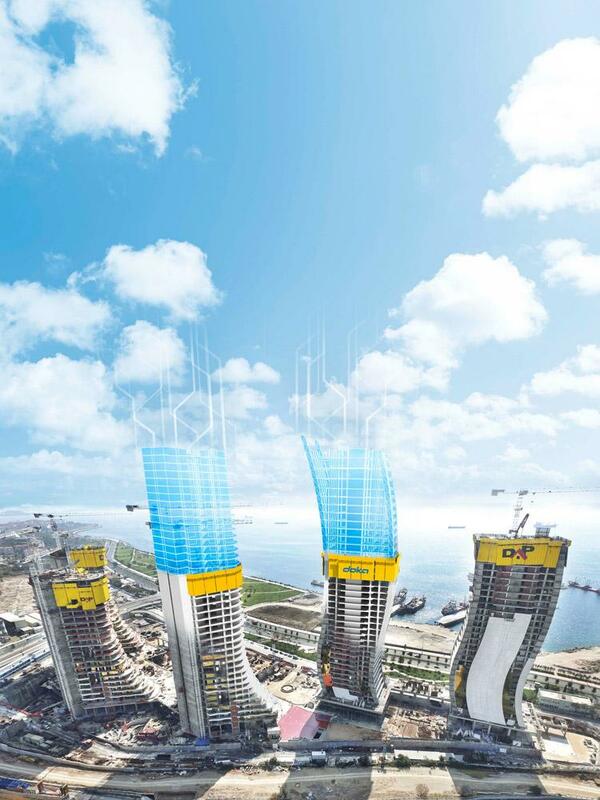 Before visitors enter the world of formwork from Doka, they will be immersed first in the world of digitization. In the area upbeat construction – digital services for higher productivity, the latest digital solutions and services from Doka will be available to test. The digital service offering will be presented in three areas: Smart Construction Site, Smart Assistants and Smart Planning. 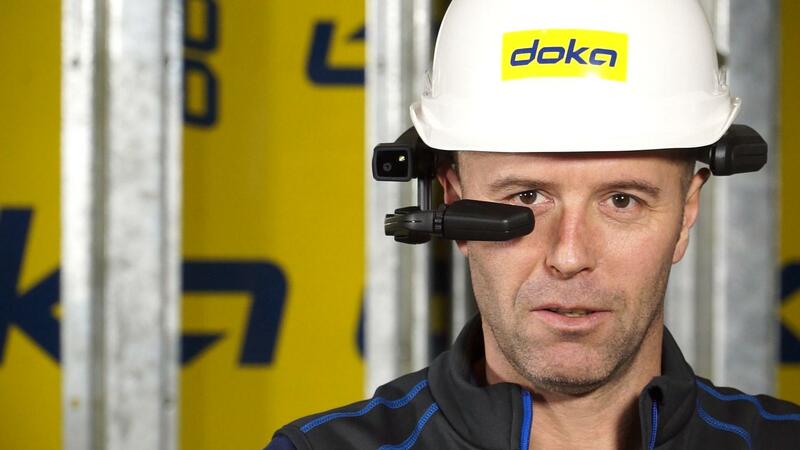 Doka is focusing on digital solutions aimed at optimising site processes and is helping contribute to increased levels of productivity on construction sites. The emphasis is on key aspects such as streamlining of workflows, greater transparency and better construction quality. 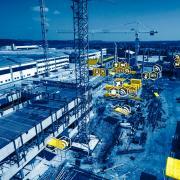 Doka Contakt provides intelligent solutions for the construction process. 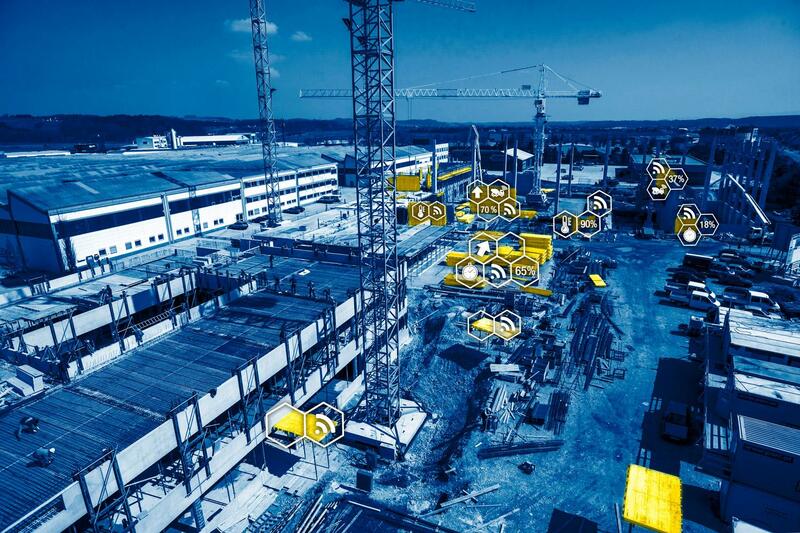 With a proprietary developed platform and IoT sensors on-site, Doka Contakt provides live data straight from the construction site. The platform manages activities and provides data insights to identify best practices for construction processes and helps reduce costs and time for the long term. Material and personnel can also be planned by the app. The sensor system provides live performance data from the site, which is incorporated in planning. This provides construction firms with a target/as-is comparison in real-time and enables them to respond proactively to changing conditions on-site. Construction firms can also benefit from more transparency and can improve their workflows and competitiveness based on the field data. With the mobile app Smart Pouring, the entire order and delivery process for cast-in-place concrete can be optimised and documented thoroughly. This is done consistently from the binding order to the final mile, from the initial stage when the concrete is poured into the formwork. This enables customers to plan their daily concrete allotment, including transparent allocation to the relevant structure unit. Through automated balancing of concrete supply, concrete pump or bucket and formwork, the app ensures that the right concrete is always used for the formwork intended. 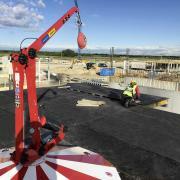 The innovative service Concremote is already an indispensable partner on numerous construction sites. The unique digital measurement and decision system, which determines the concrete strength on site in real-time, provides several new features in software and hardware. Among the highlights are the new web portal features FORECAST and SCENARIO, as well as the new Concremote app. FORECAST predicts the strength development of concrete, which supports short-term planning of personnel, equipment and upcoming work steps. Different concrete mixtures can be compared using SCENARIO, thus, concrete can be purchased more accurately. To learn more about Concremote, visit www.doka.com/concremote. 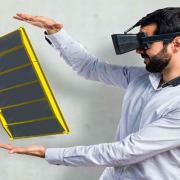 With the Doka AR-VR app (www.doka.com/ar) customers can experience selected Doka solutions in augmented and virtual reality. The applications range from the projection of Doka formwork onto printed plans, through the placement of 3D models in their surroundings, to the immersion in Doka solutions in virtual reality. An additional 3D view of the models, as well as a QR code reader, are additional features of the app. Individual 3D models also provide the option of hiding and showing components, or calling up an animated construction sequence. 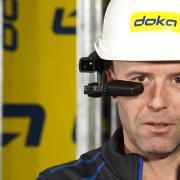 The Doka AR-VR app offers visitors a very special experience at the Doka Campus. Using a dynamic 3D model the Assembly Buddy demonstrates virtually step-by-step the proper assembly sequence for Doka formwork, including all the connecting parts and safety-relevant equipment. Verification Buddy provides an automatic check of the assembly condition on the basis of intelligent object recognition. Our Goal is a significant reduction in the rate of errors, fewer delays and greater accuracy. Remote Instructor is a software solution developed specially for the construction industry to support real-time collaboration on the construction site. The system uses intelligent video calling to provide live support from any location, and increases the availability of Doka experts. Reductions in downtimes, which lead to cost savings, are additional benefits that contractors can experience whilst using this innovative software solution from Doka. The ability to set markers to highlight specific image sections and details, simplifies communication when faced with more complex situations. Thorough, accurate planning is the basis for fast and safe forming operations. Doka technicians around the world support customers to reduce their own planning effort and ensure successful implementation. They are supported by new services such as Easy Formwork Planner and proprietary planning software such as Tipos and DokaCAD. Easy Formwork Planner is a mobile app that enables customers to prepare formwork plans, including 3D views and parts list, directly at the construction site via a smartphone, independently of available technician capacities. 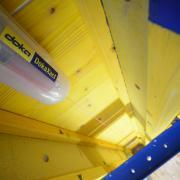 In addition, it provides a direct link to the Doka online shop. Easy Formwork Planner is specially designed for small to medium-sized construction projects and provides valuable support in case of short-term changes. In the near future, virtual construction will become a standard. The connectivity and automation of the “real construction site” will continue to increase. For Doka, this means that thanks to VDC (Virtual Design and Construction) / BIM (Building Information Modeling), formwork solutions can be aligned even more accurately with the construction process of a building and thus significantly add to the success of a construction project. In concrete terms, customers can benefit from up-to-date building information available at any time and simulations that can be run to measure construction progress, costs and safety. Doka's various BIM solutions will be presented on the basis of the current projects SOFiSTiK in Germany, Tour CFT in Morocco, Viaduc de la Roumer in France and Factory Manchester in United Kingdom. For more details, visit www.doka.com/BIM. The myDoka customer portal offers first-class customer service. Using their PC, tablet or smartphone, customers can conveniently access their project- and site-specific data at any time. 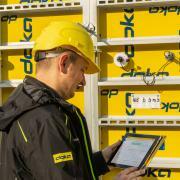 This provides an ideal interface with the Doka team. 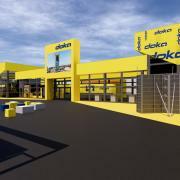 In recent months, Doka has worked intensively on an upgrade for myDoka. The online portal is now even more user-friendly, easy to use and intuitive and offers new features to make it more simple for customers to manage project and construction data. 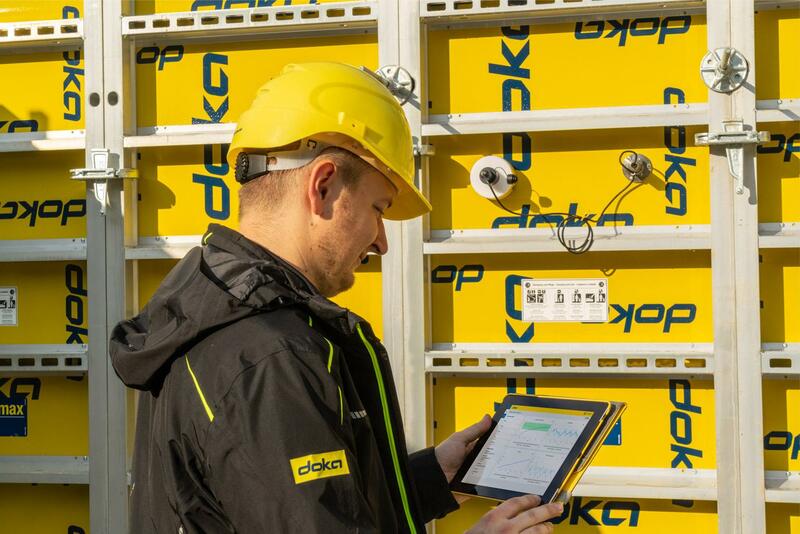 To ensure customers not only can manage rental material from Doka but also have an overview of their own stock material Doka now offers the new service Yard Management. By enabling management of rental and owned materials, customers can benefit from a centralised platform for clear visualisation and optimised organisation. 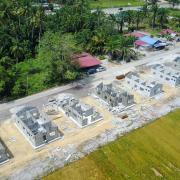 In addition to project, construction site and item management, the solution provides comprehensive features for material disposition, including a message centre to facilitate process tracking. in e-commerce. Customers have access to the online product offering through all commonly used devices (PC, tablet, smartphone) and operating systems and can buy Doka products at any time. Additionally, customers can opt-in to receive an up-to-date overview of products, their availability and prices, as well as recommendations for necessary accessories and add-ons. Safety, speed and cost-efficiency are increasingly becoming decisive factors for success in the tough day-to-day work on construction sites. 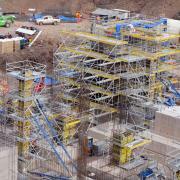 Doka formwork systems are optimised precisely to meet these challenges. When it comes to the world of formwork, trade show visitors will be able to experience first-hand a large number of Doka products in use at the Doka Campus. Under the motto “We erect a building” visitors start their tour of the world of formwork. Beginning with the foundation, next comes the ground floor and then the standard floor. In the exhibition hall, safety, concrete expertise and components will also be presented in their own areas. A new product with impressively low weight but also durability, and which is currently being used for the first time on European construction sites and in Canada, is the feather-light, universal aluminium framed formwork DokaXlight. 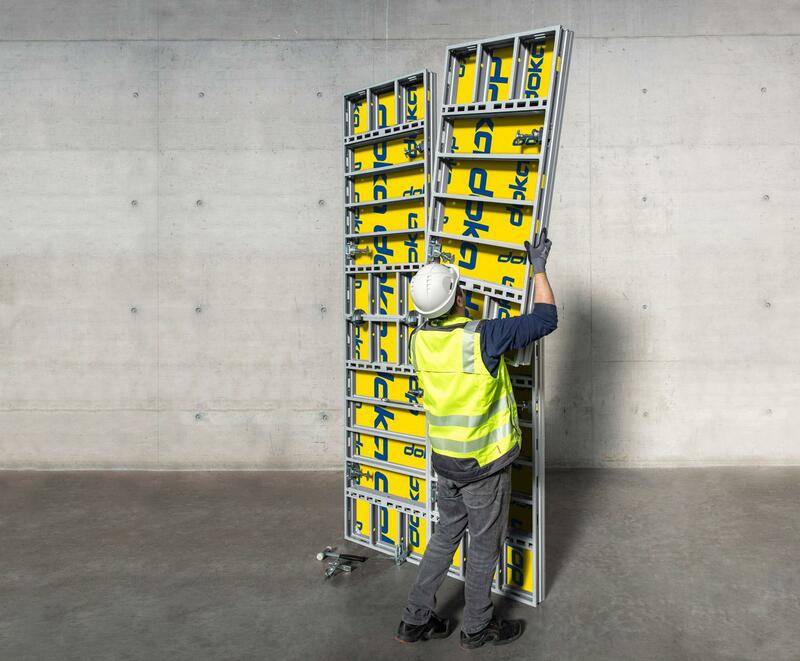 With a weight under 20 kg/m² and 50 kN/m² fresh-concrete pressure, it will be the lightest product in the Doka range of products in the future. The low weight and ergonomic handling allows for operation without a crane and with just one person. 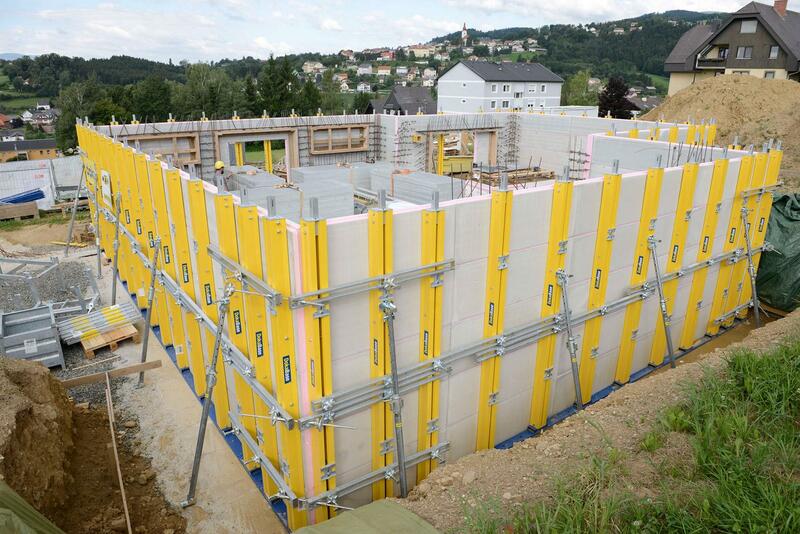 The innovative DokaBase basement construction method with integrated external insulation is a new approach to building watertight concrete walls. It combines the three critical work steps – forming, insulating, sealing – in a single system. The outside formwork also serves as insulation and remains permanently on the structure. The fresh concrete acts as an adhesive and, combined with the DokaBase panel, forms a full-surface, durable connection that is safe from backflow. The interaction between these two factors eliminates the need for additional waterproofing. 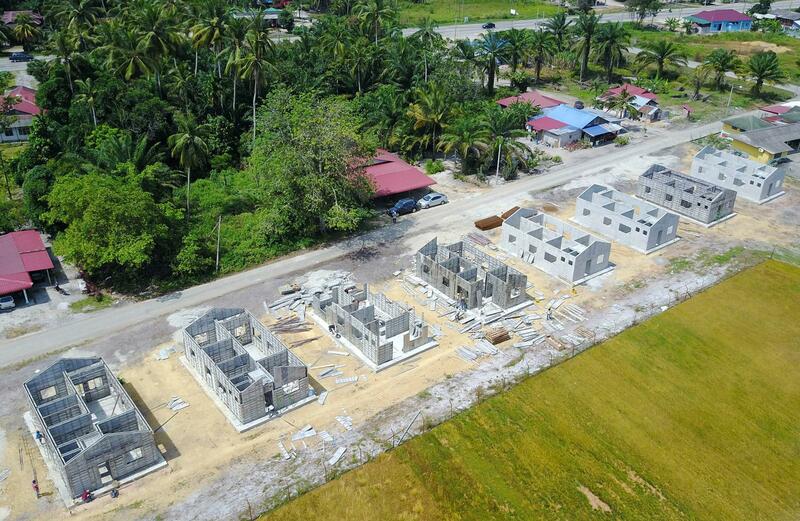 DokaBase has already been used successfully on numerous construction sites. To learn more, visit www.doka.com/dokabase. 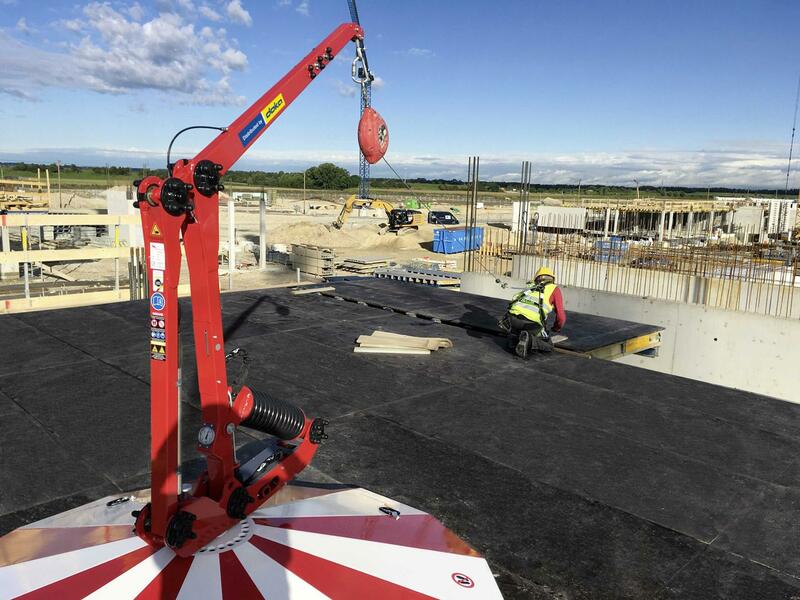 The fast, light and precise alignment strut DokaRex is specially designed for use with precast concrete elements and with only four different strut types, it easily covers the length range of 1.80m to 10.20m. With its sophisticated technology, the product sets new benchmarks in terms of flexibility and precision. The lightweight and ergonomic design makes it easy and convenient to work with. 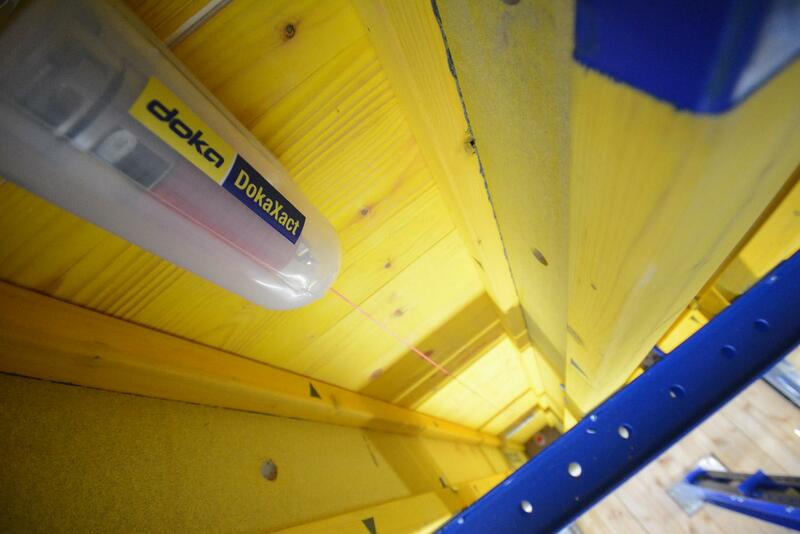 As an option, DokaRex can also be used with wall formwork. 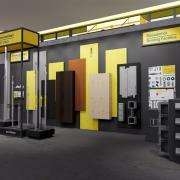 With Framini, Doka has expanded its product portfolio for Latin America, Asia and the Middle East. The new framed formwork is a current example of how a formwork system can improve productivity, also at small and medium-sized construction sites, particularly when residential, commercial and infrastructure projects have to be built quickly, professionally and cost-effectively. 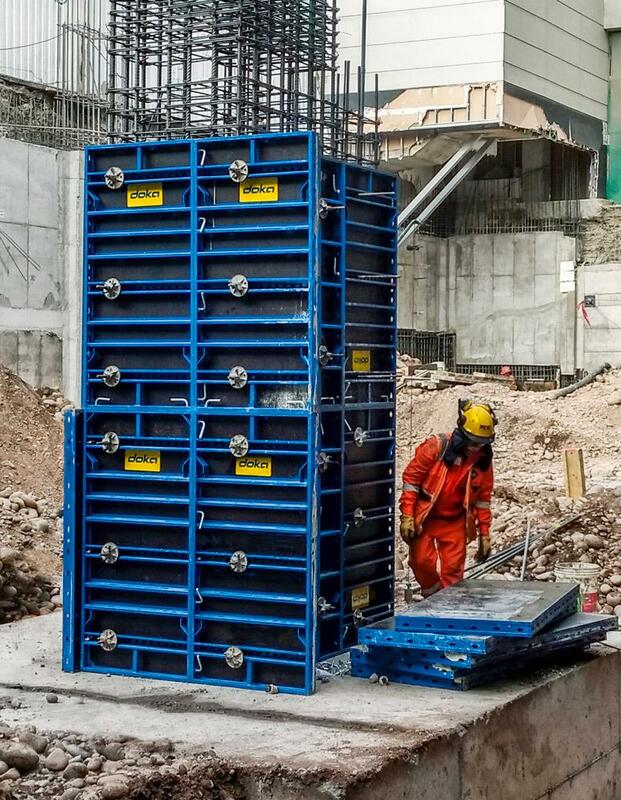 The low weight and optimised ergonomics reduce the work required for formwork operations and make Framini a fast and universally adaptable formwork system. Dokaflex Xbrace is an enhanced version of the Dokaflex timber-beam floor formwork that adds flexibility, universal usability and ease of use to modern safety aspects. All existing Dokaflex systems can be converted to the new version. 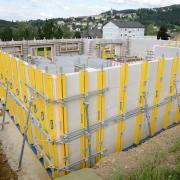 With Doka Monolithic, Doka offers customers a new product in the field of monolithic formwork solutions. Walls, columns, drop beams and slabs can be poured in a single operation. In cooperation with the Malaysian company MFE Formwork Technology Sdn Bhd., a leader in monolithic formwork systems, Doka has extended its presence in Southeast Asia, Latin America and the Middle East. Safety is of utmost priority on the site. At Doka, solutions featuring all-round safety are an integral part of the company's product philosophy and make the work site more productive. They meet legal standards, help prevent accidents and keep the project on schedule. FreeFalcon is one of the newest products related to safety. It closes the gap in the area of flexible overhead anchor points on construction sites and is the perfect synthesis of safety and freedom of movement. This mobile personal fall-arrest system secures workers where the risk of a fall is most critical. This significantly enhances user safety without sacrificing mobility, helping to minimise the risk of falls from height. 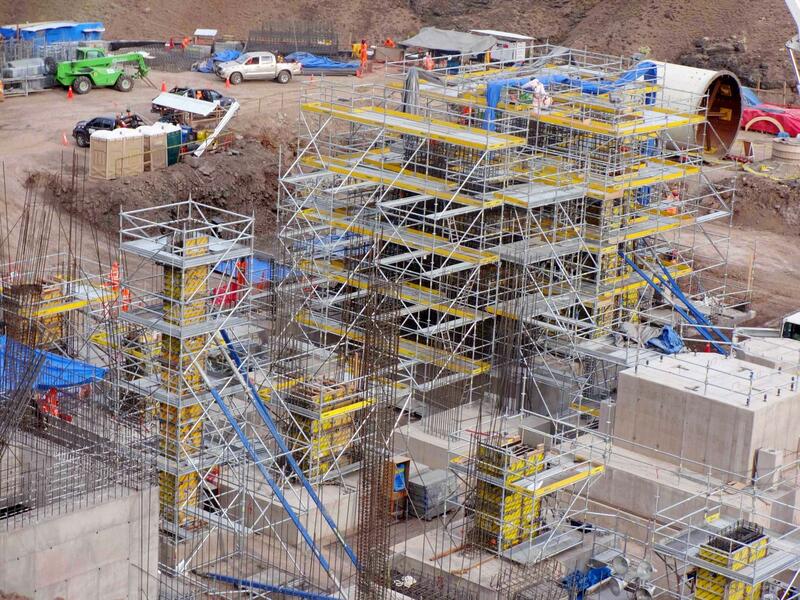 With the help of Doka modular scaffolding systems, complex structures can be scaffolded and thus safe work sites can be created quickly and efficiently. 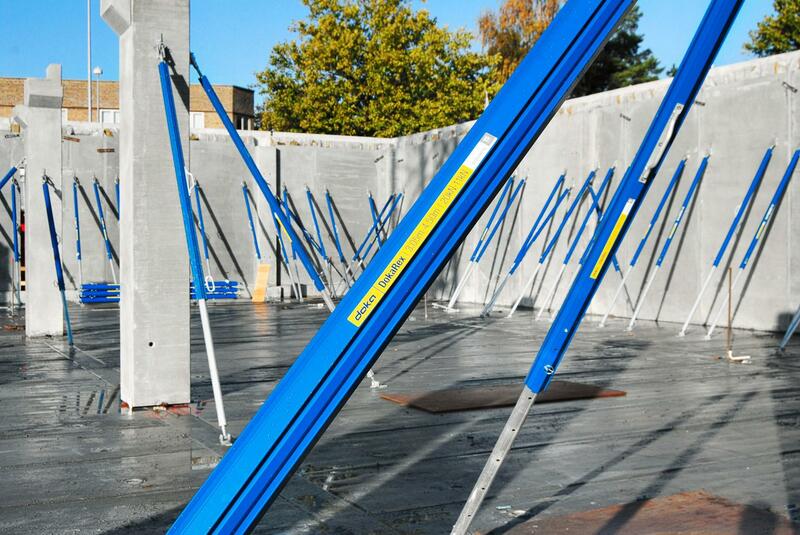 The Working Scaffold Modul is ideally suited for use as formwork platform and reinforcing scaffold, as well for site access, stair tower or mobile scaffold tower. The Safety Net Fan SNF increases work safety on construction sites and minimises the risk of falling parts during construction operations. The versatile design of the three-layer net combined with add-on parts makes the product adaptable to any building structure. In the Components area, visitors will find extensive information about formwork sheets, formwork beams, floor props and building accessories. 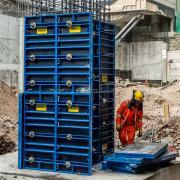 One example of this is the Doka-Alu-Beam 20, which is an aluminium formwork beam that combines low weight, high load-bearing capacity and long service life. 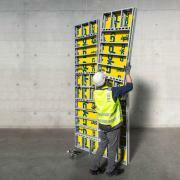 This optimises the load-bearing towers and increases occupational safety thanks to compatibility with Doka components and systems. Another highlight is the floor prop Eurex 20 LW, which features impressively high load-bearing capacity and tremendous lightness. Trade show visitors can experience first-hand the low weight of the Eurex 20 LW and compare it with the already lightweight Eurex 20 Top. Doka is a world leader in developing, manufacturing and distributing formwork technology for use in all fields of the construction sector. With more than 160 sales and logistics facilities in over 70 countries, Doka has a high-performing distribution network. It ensures that equipment and technical support are provided swiftly and professionally. 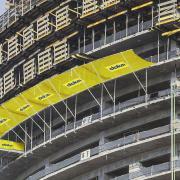 Doka is an Umdasch Group company with a workforce of more than 6,700 employees worldwide. Form-on is a subsidiary of Doka on Campus, which provides global business with new formwork components and used formwork. Form-on is organised into two divisions – COMPONENTS and USED – to focus on customers and better meet their needs. Form-on COMPONENTS provides specialist trades and formwork manufacturers with brand-new formwork components such as formwork sheets, formwork beams and floor props, as well as plywood. Form-on USED buys and sells used formwork from various manufacturers and with varying quality levels. Doka's sister company, Umdasch Group Ventures, focuses on future trends and new technology in construction and specialises exclusively on developing groundbreaking, potentially disruptive innovations. In 2019, the innovation incubator Umdasch Group will present the following three new solutions: Contour Crafting (3D construction printing), Neulandt (mobile precast factory specialising in affordable housing) and Contakt (site digitization). Thank you for your interest - Our contribution to increase productivity on the construction site. Thank you very much for your interest - Our contribution to increase productivity on the construction site.